Having a laptop with a backlit keyboard is both practical and eye-catching. A backlit keyboard is simply a keyboard where the keys light up when you press them. This feature is very important if you use your laptop in dark or low light environments: not only will this help your typing speed if you can’t type without looking at the keyboard, but also will help you locate keys that you don’t normally use, such as the F- keys. There is also the aesthetical aspect, having a backlit keyboard adds an eye pleasing visual experience and a premium feel to your laptop. Some high end gaming laptops even comes with RGB backlit keyboards, and even let you tweak colors and divide the keyboard into different zones. LED illuminated keyboards are usually offered on premium laptops, but you can also find many budget laptops with backlit keyboards, and you don’t have to pay extra for this feature. Nowadays, even some Chromebooks have backlit keyboards, and we have recently compiled a list of some of the best Chromebooks with backlit keyboards available right now. In our list, we have researched and compiled some of the best budget laptops with backlit keyboards as of 2019. Please feel free to ask us in the comments if you have any suggestions or any other models we should add to the list. I have seen countless reviews of people complaining that their newly purchased laptop’s keyboard doesn’t light up as advertised, and that the product description clearly states LED backlit. A lot of non tech savvy people are actually confused by laptops’ specs, and many confuse terms such as “backlit Keyboard” and “LED backlit display”. A laptop that has an “LED backlit Display” doesn’t necessarily come with a light up keyboard too. So, if you are planning on buying a laptop that is not on this list, make sure that you ask the seller whether the keyboard is backlit or not. At first look, you might not believe that this laptop is priced under 500$, but it actually is!. The new HP Pavilion X360 is a premium looking budget laptop that offers a lot of unique features that sets it apart from the competition. It comes with an 8th Generation Intel core i8130U processor, 4GB of RAM (With 16GB Intel Optane Memory), and a 1TB hard drive. In terms of performance, the Pavilion X360 is no beast, but can certainly handle most of your daily productivity tasks with no issues: such as web browsing, watching movies, or using word processing. The New Pavilion X360 also sports a15,6 Full HD display that is surprisingly gorgeous considering the price of this laptop. Colors are sharp, and being an IPS display, viewing angles are also great. Not to mention that the X360, as its name implies, also comes with a 360 degree hinge, and you can use the laptop in normal mode, tent mode, or in tablet mode. And did I mention that the X360 comes with a touch display? You’ll be happy to know that this laptop comes with a free pen too. And last but not the least, the Pavilion X360 comes with a backlit keyboard. The keys have great travel distance, and the tactile feedback is good too. First on our list, the Dell Inspiron 15 5575 is not only one of the cheapest laptops with backlit keyboards on the market right now, but it’s also one of the best. The Inspiron 5575 comes with an AMD Ryzen 5 2500U Processor, 8GB of RAM, and a 1TB hard drive. The Ryzen 5 2500U is AMD’s latest quad core processors. This processor scores 7323 points on CPU benchmark’s list, and its overall performance is comparable to Intel’s 8th gen i5 processors. In terms of performance, the Inspiron 5575 is excellent for multitasking and everyday productivity work. The only bottleneck is the traditional hard drive, which makes boot times and opening files and programs a bit slow (especially if you’ve used a laptop with an SSD before). However, the Inspiron 5575 comes with a free M2 slot, and you easily upgrade to an SSD if you wish. 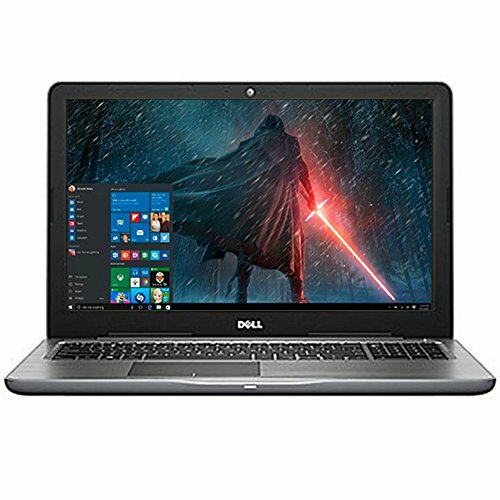 The Dell Inspiron 15 5575 is a perfect choice if you’re looking for a laptop for school, or simply need a laptop for word processing. The Keyboard has a blue back-lighting, and the keys offer good tactile feedback. The build quality also sets the Inspiron 5575 from other similarly priced laptops. As expected, the chassis is entirely made of plastic, but it has a nice metal finish to it that gives a sleek and premium look. Acer Aspire E15 E5-576G-5762: The champion of budget laptops! When in comes to budget laptops, the Acer Aspire E15 E5-576G-5762 always comes on top in almost all our buying guides. This is simply because the Aspire E15 E5-576G-5762 is unbeatable if you’re looking for value. 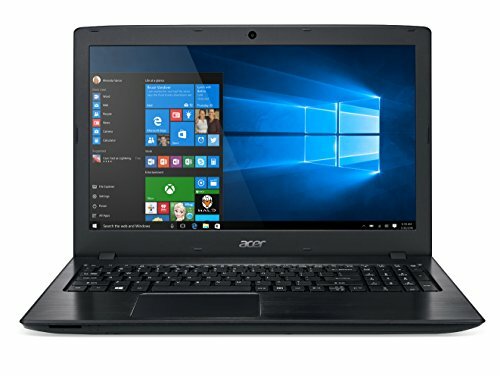 It’s actually hard to find another budget laptop that packs the same features as the Aspire E 15 at this price range: an 8th generation i5-8250U processor, 8GB of RAM, a 256GB Solid state drive, a full HD screen ….and it’s also one of the cheapest laptops with backlit keyboard you can buy. Battery life is also excellent considering this is a budget laptop, and you can easily get more than 8 hours of use from a single charge. The Lenovo V330 is one of the few budget laptops that can actually compete with the Acer’s E15 in terms of value. The V330 comes with a 7th Gen i5 7200U processor, 8GB of RAM, and a 256GB SSD. This laptop is perfect for business users, and for those looking for a reliable laptop that offers consistent performance. Lenovo also makes some of the best laptops keyboards, and the V330 has a comfortable backlit keyboard with big and well spaced keys. Other cool features about the V330 include 2 USB type-C ports , a fingerprint scanner, and a Webcam privacy Shutter! 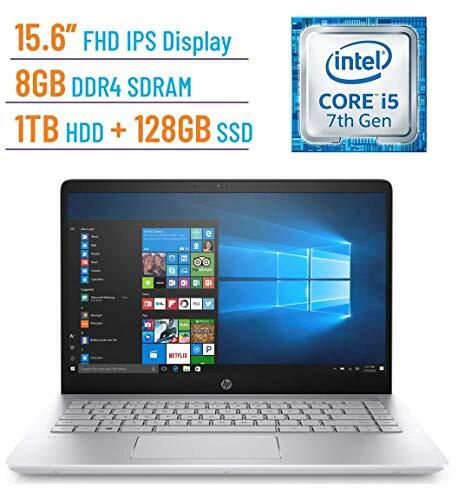 The Aspire E15 can be the best option if you’re looking for a cheap laptop with a backlit keyboard, but those who also want a lightweight and stylish laptop that’s what the HP Eclipse Ci5 offers. This 14 inch laptop comes in silver colored premium looking chassis, and is only 3.59 lbs heavy. The machine is powered by a 7th generation I5 7200U processor, 8GB of RAM, and a dual 128GB SSD and 1TB HDD. 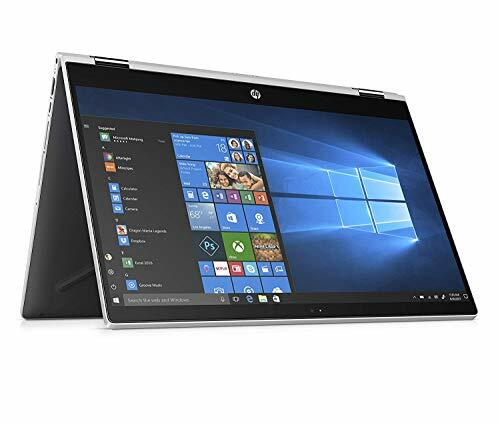 The HP Eclipse Ci5 is perfect for those who need a laptop for web browsing, word processing and other productivity tasks. Finding a 17 inch laptop has become hard these days, but what is even harder, is finding a decent budget laptop with a good 17 inch screen. Thankfully, the HP 17-bs014cy is here! 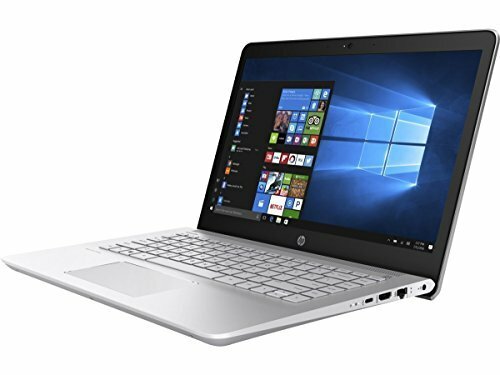 The HP 17-bs014cy comes with a 7th generation i3 7100U processor, 8GB of RAM, Intel integrated graphics, and a 2TB hard drive. Which is a standard for Intel budget laptops these days. However, what makes the HP 17-bs014cy a special pick is its 17,3 inch screen. while it doesn’t come with a full HD resolution, it still manages to produce a sharp and decent picture quality: This laptop can fit for someone looking for a multimedia device, and for those simply looking for a bigger screen. And of course, the reason why we put the HP 17 in here is because it comes with a backlit keyboard. Which makes this laptop a good pick for those who do a lot of typing. Just by the look you can tell that Dell didn’t skimp on any part on the Inspiron 15 5000. This touch screen laptop not only comes with a slim premium looking chassis, but it also packs an 8th generation Intel Core i5-8250U, 8GB of RAM, a 1 TB hard drive, and most of all a comfortable full-size backlit keyboard. 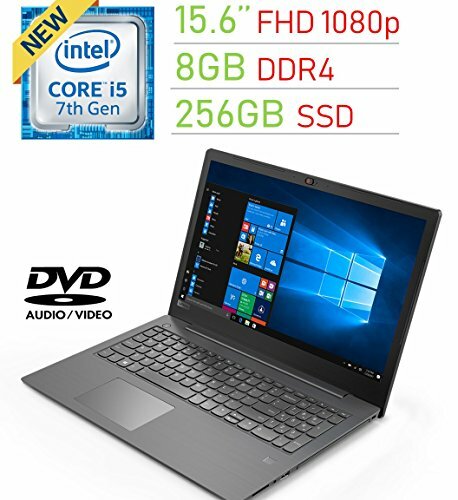 Unless you need a gaming machine or need a laptop with a faster SSD drive, this laptop is recommended for everyday users. The Inspiron 15 5000 also sports a full HD touchscreen. Viewing angles are great thanks to the IPS panel, and color reproduction is decent. 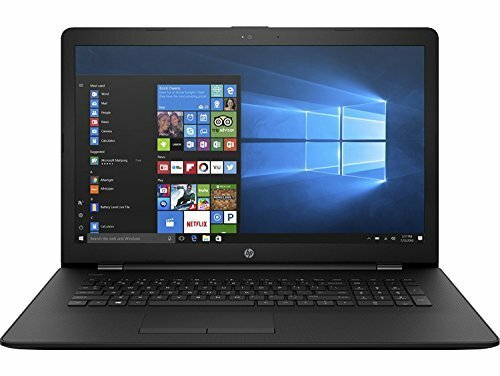 If you’re looking for a lightweight laptop and don’t want to spend 800$ on an ultrabook, then consider the HP pavilion 14-al061nr. This laptop comes with a 6th generation Intel core i3 processor, 8GB of RAM, and a standard 1TB hard drive. The Pavilion 14-al061nr has all the power you need for your daily computing tasks, as long as you stay away from intensive applications and gaming. The screen has a standard resolution of 1366X768 which is no deal breaker because the panel quality is very good overall. And of course the pavilion 14-al061nr also comes with a backlit keyboard. 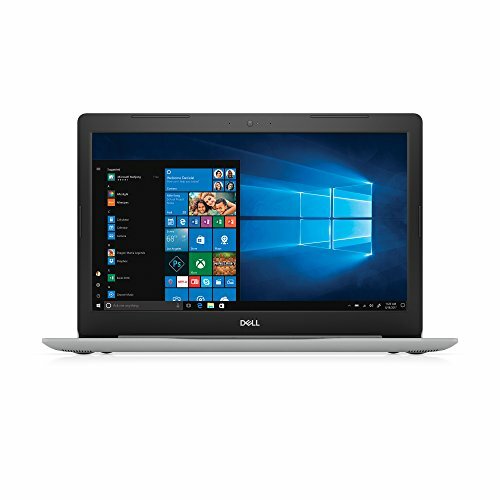 The Dell Inspiron 15 5000 is a mid-priced laptop that offers great value for the money. This laptop comes with a 7th gen Intel core i5 processor. 8GB of RAM and a 256 SSD drive. This means that the Inspiron 15 5000 is capable of handling all your office tasks with no lag. Although the case is mostly made of plastic, the chassis is very rigid and the machine seems rather classic and professional. 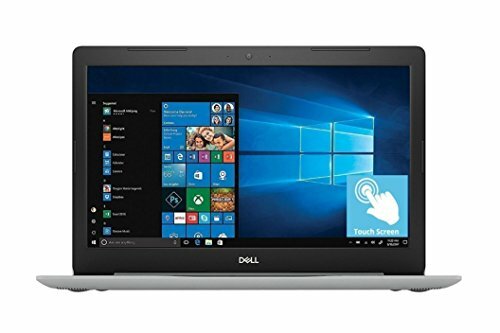 The only thing Dell could improve on this laptop is the screen resolution, which is a standard 1366X768, for most people this isn’t very important, but if you want to do graphic design from time to time on this laptop, it can be problematic. The typing experience is very good on the Inspiron 15, keys have a decent travel distance, and the fact that the keyboard is backlit adds to the visual experience too.